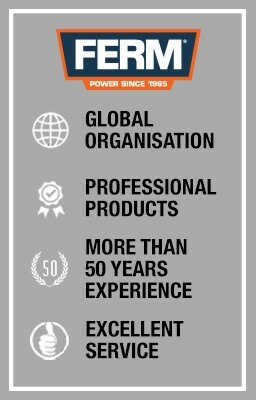 All FERM power tools are supplied with clear and comprehensive user manuals. Whilst all FERM power tools are supplied with clear and comprehensive user manuals, it’s possible that you’ve misplaced or discarded yours by mistake. Fortunately there’s no need to worry, as user manuals are also available in PDF format on our web site. This means that you can readily download and read them at home. To do this, simply enter the product article number into the search box located at the top right hand corner of the page. The product article number can be found on your power tool’s identification plate and consists of three capital letters and four numbers. The relevant user manual will subsequently appear under the “Downloads" tab. Couldn't find the manual? Than go to www.service.ferm.com and again, simply enter the article number in the search bar and the user manual will appear in "downloads".